...I'm posting a picture of her food for her. 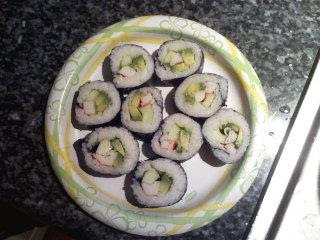 She made sushi the other night and didn't even tell me about it! Ugh! : ) Anyway, here is a picture of it, it looks like she did an awesome job.